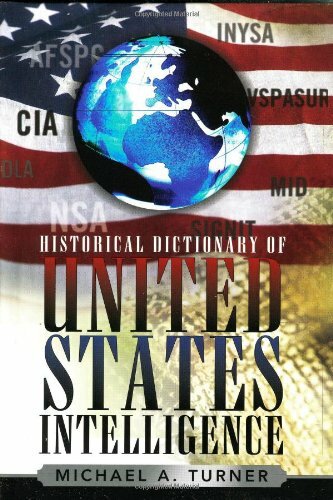 This compendium of over 500 entries on the most important and relevant personalities, programs, activities, and agencies of U.S. intelligence, beginning with the Sons of Liberty before the onset of the Revolutionary War until the most recent reorganization of the U.S. intelligence community, covers the myriad pieces of legislation that have governed the activities of U.S. intelligence, from the National Security Act of 1947, which still constitutes the fundamental law setting up modern U.S. intelligence, to the Intelligence Reform and Terrorism Prevention Act of 2004, which established the new position of the Director of National Intelligence. Each entry is cross-referenced for easy navigation and provides a definition as well as a brief but complete historical evaluation of the subject. This volume traces more than two centuries of history in the chronology. The introduction explains just what intelligence is and does, and shows how U.S. intelligence operations have evolved. Appendixes list Directors and Deputy Directors of Central Intelligence. The bibliography provides the most relevant and important sources for those interested in further reading. If you have any questions about this product by Brand: Scarecrow Press, contact us by completing and submitting the form below. If you are looking for a specif part number, please include it with your message.